Portugal defender Pepe said it was a "privilege" for the country to have a player like Cristiano Ronaldo after the Real Madrid star's dazzling display against Spain at the World Cup. Ronaldo's late equaliser capped a storming encounter which came after a chaotic few days which saw Spain coach Julen Lopetegui sacked and Fernando Hierro appointed as his replacement. 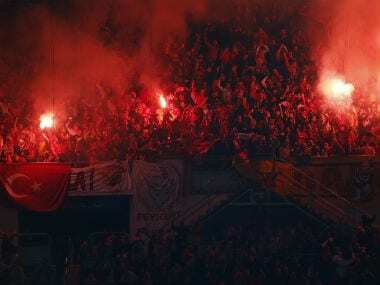 After Besiktas coach Senol Gunes was hit by a projectile from the stands, here's a look at other fan incidents which have tarnished Turkish football in recent times. Bayern essentially booked their last-eight ticket with a 5-0 demolition of Besiktas in Munich but Heynckes warned about the power of the vocal home support. 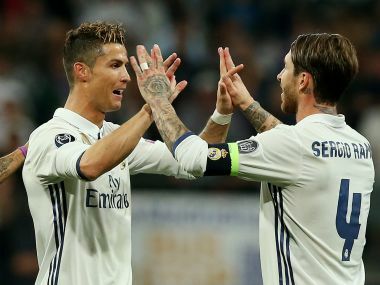 An unusual lack of firepower has hobbled Real Madrid with Cristiano Ronaldo and Karim Benzema scoring a meagre four La Liga goals combined and Gareth Bale sidelined with injury. Zidane added, "They are intelligent people. They have done a lot together, won a lot together and if now and again one person thinks one way and someone else another way, there is no problem."